Urdu TV Packages as low as – $19.99/mo. *Advertised price requires credit qualification and eAutoPay. Upfront activation and/or receiver upgrade fees may apply based on credit qualification. – $240 Savings Offer: Valid for activation and installation of qualifying new DISH service. Requires subscription to a qualifying American or DishLATINO package in addition to Pak Mega. Receive a monthly credit of $10 for the first 24 months. – Some packages require additional subscription to qualifying international programming. DISH offers the best Pakistani channels in a variety of lineups, starting at just $19.99 per month. With channels filled with dramas and serials from GEO TV and ARY plus current affairs on Express News, there’s a large selection of Urdu channels for every household. You can also watch cricket live in high definition on Willow Cricket HD. Watch all your favorite Pak channels on the Pak Mega Pack, or choose select networks with the GEO Pack, ARY Pack and more! The best collection of Urdu TV is DISH’s Pak Mega Pack. Watch entertaining dramas on ARY Digital, GEO TV and TVOne Global. There’s around the clock cricket, with live matches on Willow Cricket HD. Stay up to date with news on channels from ARY, GEO, Zee and more. 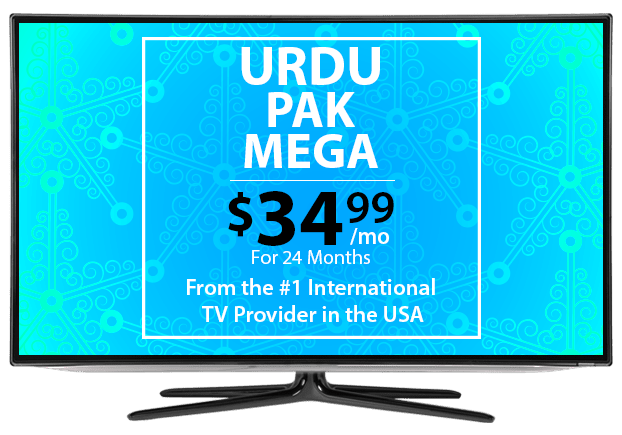 You can subscribe to the Urdu Pack Mega Pack for $34.99 per month for 2 years when you pair it with an America’s Top or DishLATINO package. The GEO Pack from DISH offers a variety of Pakistani channels, with news, music and dramas. Your whole family can find programs to watch, whether they love dramas on GEO TV or want to watch the news in Urdu on GEO News. Add these Pakistani channels from DISH Network to your TV plan for just $29.99 per month. DISH’s Urdu ARY Pack includes all your favorite Pakistani channels from the ARY Group! Enjoy serials and dramas on ARY Digital and listen to new music from around the world on ARY Musik. For lifestyle, celebrity and health updates, tune in to ARY Zauq, and the latest news, current affairs and political updates are on ARY News. This collection of Urdu channels is available from DISH for $29.99 per month. Your favorite Urdu dramas and more are on GEO TV, available with your DISH subscription for $19.99 per month. Around the clock entertainment is broadcast to the USA and available with this Pakistani channel. Watch Kashan and Manar in Aao Laut Chalein, or follow the dueling personalities of Khan, all on GEO TV. When you subscribe to additional qualifying international programming, you can add ARY QTV to your Urdu TV channels for just $10 per month. Pakistan’s top religious channel is available across the USA with Islamic TV shows, special programs and live coverage. Watch Friends of Allah, Rohani Dunya, Dars e Masnavi and more! Just want to watch dramas and movies from ARY Digital? 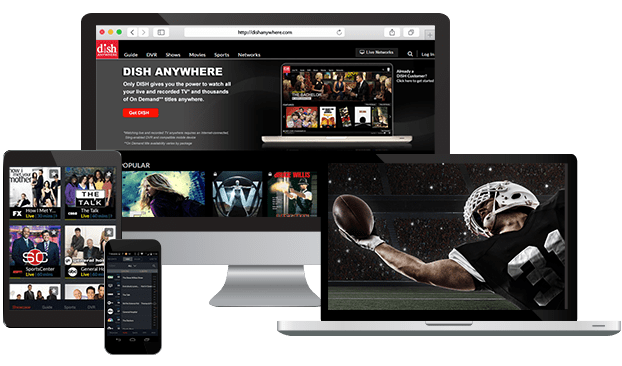 Add this channel pack to your DISH TV package when you subscribe to qualifying international programming for only $10 per month. Keep up with your favorite characters from classics like Guzaarish and Chup Raho. Or, get to know new favorites, including rasm-e-Duniya and Shiza. Personalize your Urdu TV package with extra channels from around the world, including Willow Cricket HD, NDTV 24*7, France 24 and more. Enjoy more news, sports and global entertainment at a budget-friendly price with these add-on packs, designed with international families in mind. Your DISH Urdu package can be added to any base TV package, from America’s Top 120 Plus to the International Basic Package. For more movies, sports and primetime favorites, start with an America’s Top package. When you bundle an America’s Top package with your Pak Mega Pack, you’ll save $10 per month for the next 2 years. For families that want more global news, start your DISH TV lineup with the International Basic Package for $17 per month.